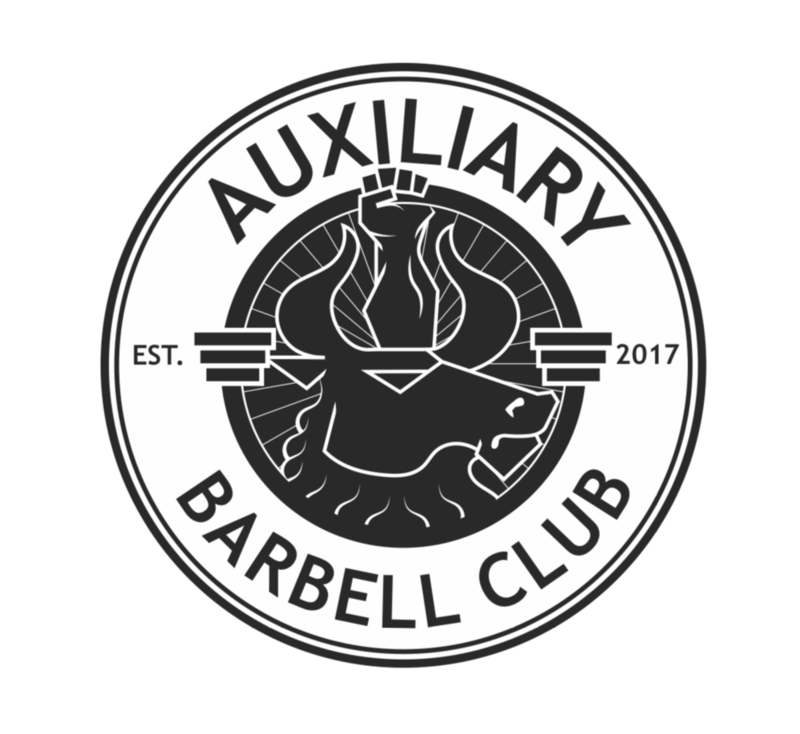 The Auxiliary Barbell Club is finally starting! You’ve seen the logo at the front of the gym when you walk in. You’ve been curious as to what it was, and you may be wondering if it was for you. Some may be interested in getting into one of these two sports on their own and eventually competing, others may want to use the club as an opportunity to focus on the Olympic lifts in order to improve at Crossfit. Either way I welcome the chance to help you along with whatever your goal is. (Editor’s Note: There will be no Open-Gym during these times). All members will be given their own program (either 2x or 3x per week) to stick to for a minimum of 12 weeks. The cyclical structure of the program will ensure that the important part of lifts are performed on a regular basis. Many of the exercises may start out as being quite foreign, but the athletes will become very familiar with them as they will be performed regularly. In CrossFit, the programming is structured with three general areas (monostructural, weightlifting/strength, and gymnastics) while with the barbell club things will be structured differently, allowing us to really focus on the lifts. As well, with CrossFit the members are always led by different coaches, while with the club, I will be able to work with the members more directly on a longer-term basis. This will allow me to become very familiar with all the athletes and really be able to work on individual weaknesses. The most significant difference with a typical barbell club training session and a CrossFit class is that with the club, all athletes will be working on what they have in their program for that given day. I will not be leading a group class, but rather supervising and coaching the athletes on a more one-on-one basis. If anyone has any specific questions about the general program or the club, feel free to ask anytime! Also feel free to speak to some of the athletes that I’ve been helping for the past several months. They’ve all shown great commitment and have really enjoyed the process (at least that’s what they’ve told me.. :) ). Weightlifting - Adolfo, Emily H. & Irim S. Powerlifting - Lisa Y. & Joyce W.